In poker, timing is everything and every situation is unique. Do you have what it takes to make the right moves at the right time? Can you get inside your opponent's head and find the right moment to bluff with nothing or trap with a monster hand? Master all of these skills and bask in the glory of your growing chip stack with Poker Live Pro by GameDesire, the most authentic poker game on the market! This game is intended for use by adult audience for amusement purposes only. 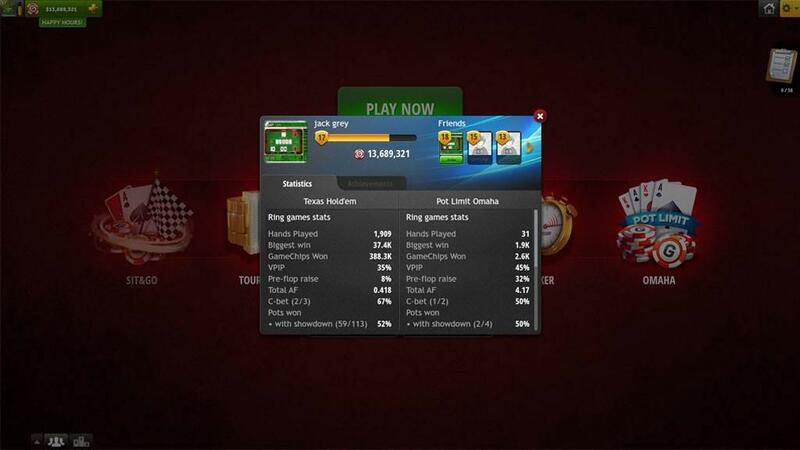 Poker Live Pro does not offer real money gambling, opportunity to win real money or anything of value. Practice or success at social gaming does not imply future success at real money gambling. Feel what it's like to win big. Cash tables of different sizes, participate in many tournaments. Meet new friends, invite them to your table, chat and have fun together. Grab free GameChips and learn fast thanks to intuitive interface and helpful community. Texas Hold’em has seen an exponential increase in popularity in the past 15 years. The boom happened in 2003, when amateur player Chris Moneymaker won the World Series of Poker Main Event. This was historic because Moneymaker’s win pushed forward the idea that anyone could achieve poker glory. He inspired millions of players to begin playing poker online, as he had won entry into the World Series through an online qualifier. Another factor in poker’s rise to mainstream popularity, was the invention of ‘hole card cameras’ which allowed the television broadcast to show viewers the cards that each player held during the tournament. These two events, which both happened in 2003, encouraged many players to begin to play poker online. However, the game has been around for a lot longer than that. Hold’em poker was invented in Texas in the early 1900’s and was introduced to Las Vegas gambling culture in 1967. Prior to the rise of Texas Hold’em, 5 card draw was the most popular poker game. Smart players realized that Hold’em presented a greater opportunity for strategy, as it has 4 rounds of betting compared to only 2 rounds in draw poker. Since Hold’em offers more opportunity for strategy, that means that professionals had a greater advantage and therefore they heavily promoted Texas Hold’em. With the support of professional poker players, Texas Hold’em became featured in the Main Event of the World Series of Poker in 1972, and has maintained its place as the world’s signature poker game ever since. Millions of players now play poker online every day, and the vast majority of them play Poker Texas Hold’em. Poker is a game of excitement, strategy and timing. Players love poker because it offers infinite possibilities. Every situation is unique and making the right moves at the right time is a constant challenge. There is luck involved in poker, and this makes things very interesting and levels the playing field between pros and amateurs. Over the long term, the better players will win, but in one game anything can happen. This is what separates poker from other strategy games such as Chess. In Chess, the better player will win almost 100% of the time. In poker, even beginners can dream big and upset the pros. For some people, playing poker online is a hobby, for others, it’s a profession. Poker can be seen as a metaphor for life itself. The strong defeat the weak, the smart outwit the stupid and the cautious benefit from the failures of the reckless. The poker game can be infinitely complex and intellectually challenging while being fun and exciting at the same time. There are many reasons to play poker online or live. Some players play for the joy of strategy and others simply play for the excitement of gambling. However, if you’re a beginner, the absolute best way to learn how to play poker is to play for free online you. If you’re new to poker game, you would be making a huge mistake to play for real money right away. Playing free online poker allows you to gain valuable experience without draining your bank account. 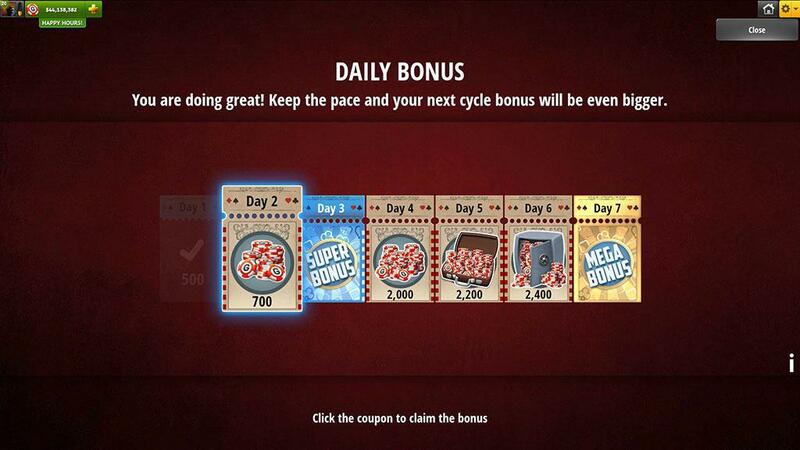 Also, playing online instead of live in a casino is also a very good way to improve your game. Regardless of your experience level, playing free online poker is a good way to improve your skills, as it allows you to cut out distractions and simply focus on game strategy. When you play poker online, you don’t have to worry about hiding your emotions and keeping a ‘poker face’. Also, the advantage of being able to play from the comfort of your own home also helps to allow better focus. Another benefit of playing poker online is that you can play more than twice as many hands per hour. This is obviously a huge advantage for both beginner players trying to learn, as well as professional players trying to maximize their profits. 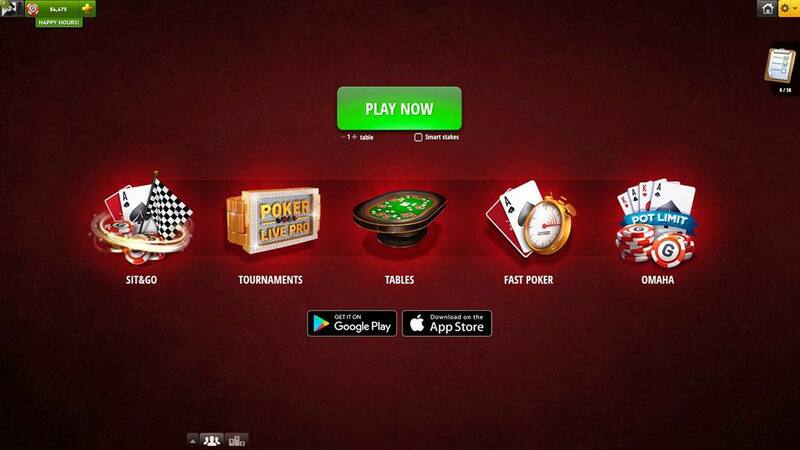 Poker Live Pro is not like other free online poker games. The game offers Texas Hold’em and Omaha in one, with authentic deep stack tournaments and all levels of cash game stakes. The multi-tabling feature is also unique for a free online poker. Multi tabling is one of the primary advantages of playing poker online, and Poker Live Pro allows you to play up to 4 tables at once! 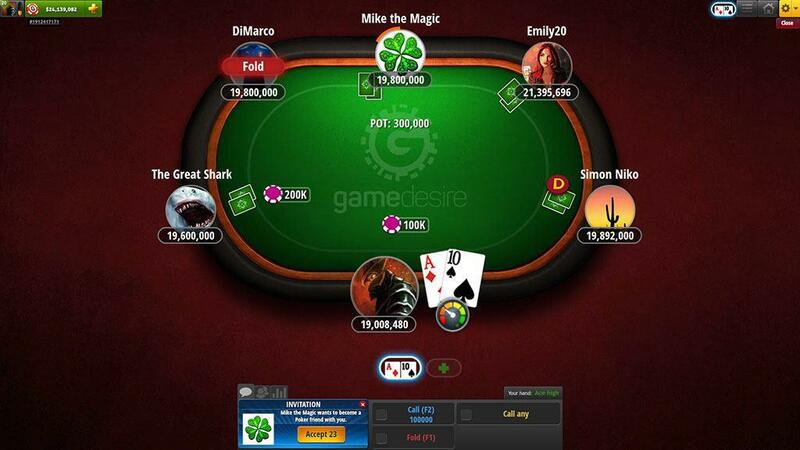 The game features a worldwide player base of millions of active users, which means that no matter what time you sit down, there will be action at the tables! You can compete against your friends, or make some new ones while you try to earn a spot on Poker Live Pro’s ‘Team Pro’. Team Pro is an exclusive club consisting of the best and most successful players on the site. Players can earn a spot on Team Pro by raking in the profits at the cash games and making deep runs in our many daily poker tournaments. There are many real money online poker games and many free games, but there are no games quite like Poker Live Pro. With Poker Live Pro, you get all the authenticity of a real money game with none of the cost, making it the best option for playing free poker online. Each hand you will be dealt 2 hole cards that are only visible to you. In addition, the dealer will put 5 community cards in the center of the table: 3 on the flop, 1 on the turn and 1 on the river. The objective of the poker game is to complete the best 5-card hand using two hole cards and the 5 community cards. Depending on the strength of your hand you can raise, call or check during each of the four rounds of betting: pre-flop, on the flop, on the turn and on the river. Best hand after all rounds of betting wins the pot. You can also win with a good bluff, if you make opponents to fold their cards. For tournament poker players, endurance is as important a skill as any. It's easy to play your 'A-game' early in a tournament, but can you keep it going? Here are 6 tips to keep your head straight (and eyes open) during long tournaments. Luckily for us all, Texas Hold’em has become a worldwide game and there are many great places to play in every corner of the globe. EPT Malta is here and soon we will have a handful of new championship stories to tell. With any luck, they'll be half as good as these 3 epic EPT endings.